Well, there i was, browsing through Yu-gi-oh wiki, when i found these goodies. tokens you control cannot be destroyed by battler or by card effects. in your Graveyard; Special Summon that target. Once per turn: You can target 1 face-up monster your opponent controls; until the end of this turn, that monster's ATK becomes 0, and its effects are negated. When this card is destroyed by a card effect and sent to the Graveyard: You can target 1 other Level 4 or lower monster in your Graveyard; Special Summon that target. After damage calculation, if this card battles an opponent's monster: You can banish that monster and this card. EDIT: Got another one here. Must be Synchro Summoned, and cannot be Special Summoned by other ways. This card's Synchro Summon cannot be negated. When Special Summoned, cards and effects cannot be activated. If this card attacks, it is unaffected by other card effects until the end of the Damage Step. When this card is Synchro Summoned: You can Set 1 "Fire Formation" Spell/Trap Card directly from your Deck. Monsters your opponent controls lose 100 ATK for every face-up Spell/Trap Card you control. holy crap YEEEESSS MORE SYNCHROS!!!!!!! AWW HEEEELLL YEEEEEEH!!! the rest are all meh cards. I cant believe wat i am seeing... I guess i might change my mind about konami, about time they think logically..
2. Armades that was presented here. His effect is pretty powerful and it's easy to summon. The best card out of the new ones is the level 3 one in my option. They should make a level 11 for once if they did then I do not know what card it is. Hmm, the cards are interesting. Haprie synchros. Just because it's wind. Lol jk, but more mist valley support, which makes me quite content. Also: More beastcraft support. They work very well already, but not top tier yet, so I can't wait to see them top more. So if either Armades or Starform attacks a light monster can honest not be activated? Also on the turn Starform is summoned can Effect Veiler or monsters like Photon Striker Bounzer, Number 25, Or COnstellar Pleides not use thier effects? Yeah, honest can't be activated when Armades attack, but i'm not sure about starform's effect yet. dang, dat monster is broke, n above all its lv11..
the " cards cant be aactivated" means that u cant respond to his summon, like torrential and bottomless.. but after the summon is succesful, u can use veiler, bouzner, etc.. I'm very surprised on how easy it is to summon StarForm. All you really need is a level 7 and a level 4 tuner. Or if you run Hieratics or Dragons it's very simple just tribute one hieratic to get out Blue eyes and then get out Genex Alley Birdman and Voila! Im still surprised on how easy it is to get Starform Dragon out. You sure they wont change to like 1 tuner and 2 non tuners or 1 synchro Tuner and 1 synchro non tuner? OMG A LV 11 SYNCHRO!!!! WOOHOOOOOOo its useless. Hieratics aren't a syncrho archtype but I you could get out Starform easily. 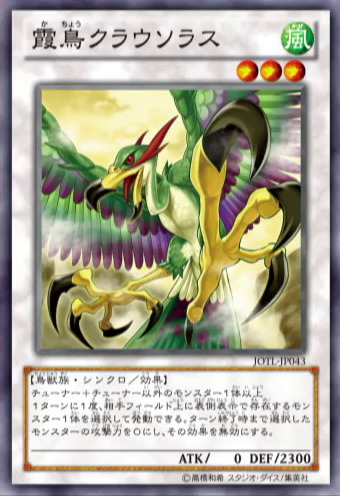 normal summon eset>tribute eset to summon su>Use esets effect to search and special summon Blue eyes whitedragon> return su back to hand be using genex alley birdman> then synchro. Please refrain from Double Posting or you might find yourself with a warning. Thank You. In order to summon a synchro monster you need a tuner monster and a few non-tuner monster (usually low leveled)..without it you're done. Most of synchro decks are based on graveyard control, which can be easy stopped by Necrovalley. I've Updated with another new card. This synchro monster has so much flavor to it i'm just buzzing to see how many cards my opponent or any at that will have to blow to get around him, dracosac and a field of tokens. I thought Konami was getting rid of synchroing and bring in the xyz train, but this says otherwise.